A luxurious & guided walking tour between Capri and Amalfi, Positano and Ravello. Unique walks along the Amalfi coast and Sorrentine peninsula, in the shadow of Mt. 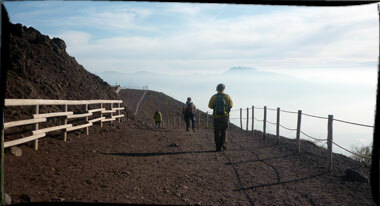 Vesuvius, where white houses cling together onto the rocks and narrow steps lead to beautiful Cathedrals and villas. From natural reserves disclosing ancient paper mills ruisn, to the roman's villas in Capri, enjoy a walking trip from Ravello to Positano, Amalfi and Capri that will be memorable, unique and luxurious. what to expect: as a small local company we do not provide classic journeys and do not have a typical day to describe, all our walking tours on the amalfi coast are different and we hardly offer twice the same trip. Our guided tours offer flexibility and personalized service, combining day time activities with plenty of time to relax and explore independently. Note: All private departure and tours can be completely customized, by adding extra days and walks, including day trips to Napoli & Ercolano to hike the archaeological site including day trips to the Caserta Royal Palace and gardens. and the National Archaeological Museum of Naples, largest and most inportant archaeological museum of Europe. Palazzo Avino, Ravello, Palazzo Avino is a stunning five-star deluxe hotel on Italy's famed Amalfi coast. Built in what was once a 12th century private villa for an Italian noble family and opened as a hotel in 1997, Palazzo Avino has been rated as one of the world�s finest hotels and boasts one-star Michelin dining. Tucked away in the medieval hilltop village of Ravello and perched high on the cliffs, 350 m (1,000 ft) above the sparkling Mediterranean, Palazzo Avino overlooks some of the coast's most picturesque fishing villages.